We have good news for Reno. There have been drum circles for years in this area, but now there is an energy that has not been seen here before. Transplanted here from the Ivory Coast of Africa, the original home of the djembe drum, we have a group of drummers and dancers who are showing us what African drumming and dancing is all about. 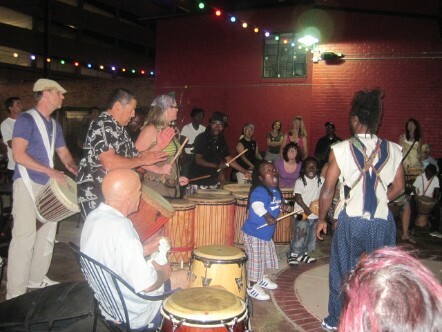 Master drummer Mailly Tagba, locally known as Francis, along with his uncle Abel, also a master drummer and teacher of Francis, have come to teach and bring Reno's drumming to a new level. Along with other performers and teachers from parts of Africa, all of these new friends have brought the excitement of their culture to share with us all. The energy that we have experienced in the past in local drum circles has now become charged with the heat and passion of the jungle. We are learning the true meaning of the rhythms and dance moves that have evolved within daily life in African villages. 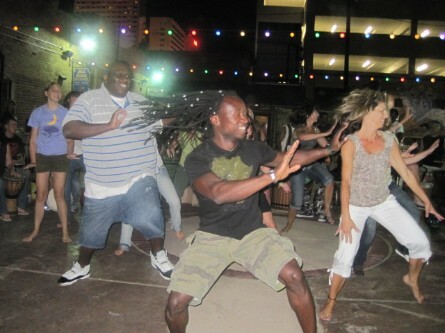 Every rhythm and dance has its place and time in the community. Some are for daily chores such as hunting, fishing, grinding the grain and working the fields. Some celebrate life events such as birth, entering adulthood, courtship, and marriage. We can learn African drum and dance in the classes which will be starting soon. Also we can keep up with information about current drum circles on Facebook on the group page Local Community Drum Circles of Northern Nevada! And finally, for a real treat, occasionally there will be a gala performance such as the one that took place on June 27, 2009 at the Joe Crowley Student Union. 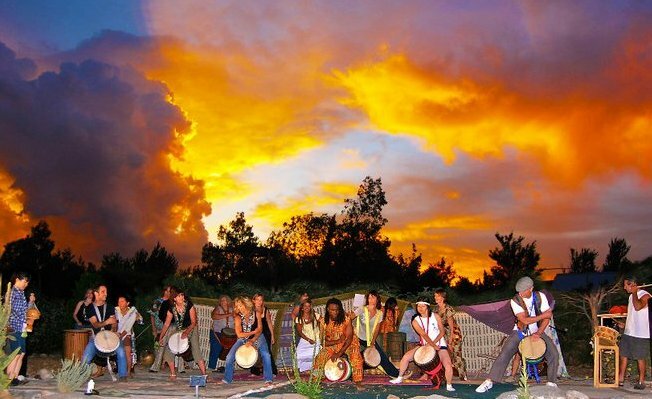 You can enjoy performances by master drummers and professional African dancers from New York, Los Angeles, and Las Vegas. As all who attended this event will attest, the result was a show the likes of which are seldom seen by the Biggest Little City, in or out of the casinos. Make sure you keep visiting this website for information on future performances. You won't want to miss this! Reno Taiko, Liz Broscoe and members of the Reno/Tahoe community join Gbozé for a drum and dance circle after the Lalea 2010 show at the River School. Photo courtesy of Rudy Bayt.